Everyone knows that tailoring the customer experience to an individual’s preferences delivers a more satisfying interaction for the customer and builds brand loyalty. This holds true for print communications too. Personalization in print used to be including a customer’s name in the piece. We’ve moved well beyond that today. Print personalization is much more advanced thanks to the evolution of data collection and digital printing technology. By applying tactics to print that traditionally have been used in digital communications, brands can create materials that are more relevant, responsive and measurable. A new name for this type of marketing has even emerged—data-driven print. Print is already a great medium for getting attention. Personalization builds on that strength. Research indicates that consumers are more than three times as likely to buy from a brand they’ve previously bought from than from one they don’t know. By personalizing materials, brands can remind customers that they have an existing relationship. This approach strengthens the relationship even more and makes customers feel valued. Personalization can take on many different forms. Previously, personalization was limited to text. At this point, colors and even visuals can be tailored in a piece based on customer data. 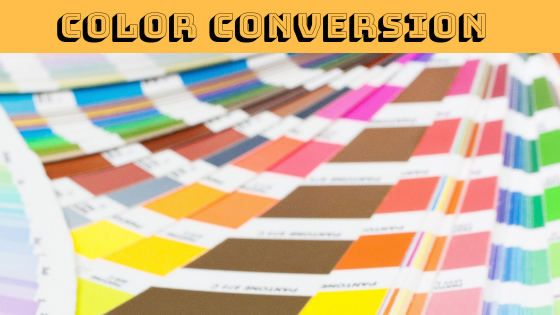 By personalizing visuals, you can increase your connection with a customer since visuals are usually the first thing that grabs attention in print. Incorporating personalization into your campaigns will increase their effectiveness because more relevant print definitely increases engagement. 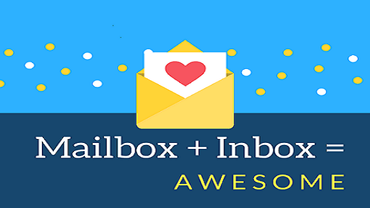 This is incredibly valuable in something like direct mail, which has recently been one of the top channels for acquiring and retaining customers. To be able to personalize print successfully, brands need to have access to a solid set of customer data. You can customize print based on data such as purchase behavior, product preferences, customer demographics and even web browsing history. Brands that have acquired more customer data points have more customization options open to them. The benefits of personalized print make it worth the effort to grow a customer database instead of relying on purchased lists. Buying lists will never give brands the specific types of data that make print communications most relevant. Brands will achieve better response rates and increased ROI by collecting their own data and using it to build personalized customer experiences. According to a Two Sides survey, U.S. consumers believe print is a safer, more secure and more trusted medium than its digital counterpart in almost every way. Contributing to this trust is print’s comparative lack of use and the historical journalistic standards associated with it. For example, print magazines are rated as the most trusted news source. In contrast, only half of people say they trust the internet. Disinformation currently runs wild across social media in an attempt to influence users and create division. In the same Two Sides survey, nearly three-quarters of respondents say they are concerned with the spread of “fake news” on the internet. Besides being untrustworthy, digital communications are getting ignored. Online pop-ups are the most disliked form of advertising. Additional Two Sides data indicates 68% of consumers don’t pay attention to online ads, and more than half admit they try to avoid them at all costs. This presents an opportunity for marketers. While digital communications certainly aren’t going away, wisely integrating print into your campaigns can pay big dividends. For one, it provides a chance to associate your brand with a more trustworthy mode of communication. Additionally, print has been shown to increase message recall. It is widely accepted that handling paper and turning pages makes us remember more of what we read. Furthermore, print is just plain effective. Nearly all shoppers say they prefer print marketing when making a purchasing decision. And, almost 80% of consumers will act on direct mail immediately. Undeniably, no one uses print anymore to steal your identity or trick you into handing over your bank account information. 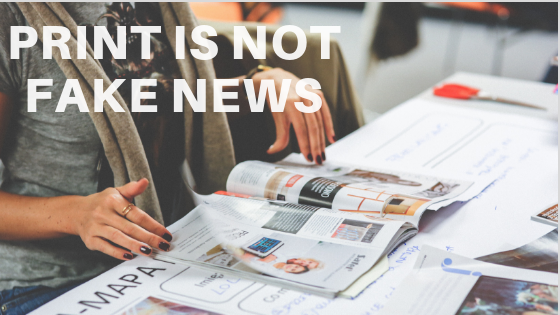 While it may not be completely out from under the old adage of “don’t believe everything you read,” we can certainly say if you’re reading something in print, you can probably trust it. For marketers, this means if you have something important to say, you should really say it in print. For years, commercial printers have told graphic designers to convert RGB colors to CMYK before packaging your files to send to print. This is to make sure you can accurately see what the colors you are using will look like in print, since your computer monitor displays color in bright RGB while print uses CMYK. This conversion is no longer required in all cases. No harm will be done if you stick to this old habit, but advances in printing workflows and growth in the use of commercial digital printing have eliminated it as a necessity. Some modern printing workflows even prefer files with RGB colors. RGB and CMYK are the color processes everyone is familiar with. RGB is an additive process, meaning it adds red, green and blue together in varying amounts to produce other colors. CMYK is a subtractive process. Different amounts of cyan, magenta, yellow and black are used to “remove” reflected colors from paper to create other colors we can see. The two processes have different ranges of color, with RGB providing a wider array of possibilities. RGB is used in electronic devices, like computer monitors, while printing uses CMYK. When RGB is converted to CMYK, colors can look muted. Designers were often disappointed when their printed piece looked different than what they had been seeing on screen. To avoid this disappointment, printers told designers to convert colors to CMYK so they’d see them more accurately on their computer. Now, modern workflows allow printers to use color profiles that automatically match CMYK ink to RGB values to produce results that are much more similar. Additionally, commercial digital printers can use inks beyond just CMYK to closely match the wider color gamut of RGB. Designers actually gain some added benefits under this new approach. RGB files tend to be smaller; it’s always easier to move and manipulate smaller files. Since most designers today design for print and digital applications at the same time, keeping files in RGB gives you more flexibility as well. If you’re not sure if you can to let go of this old habit, check with your printer. They’ll tell you whether their workflow still needs you to convert or not. If you’re a marketer looking for an easy, free way to add digital elements to your direct mail campaign, then yes, you should be using the Informed Delivery program. The U.S. Postal Service launched this e-mail-based service to provide people with a daily e-mail digest of the mail that gets delivered to their home each day. The digest contains up to 10 scanned images of the address side of letter-class mail. In addition to the convenience that Informed Delivery provides its subscribers, the program is a boon for direct marketers because it offers a free additional customer touch point. With Informed Delivery, marketers have the option to add digital elements to the scanned image that appears in the daily email digests. These digital elements include a target url and a custom supplemental image. Currently, 95% of Informed Delivery users open their daily digest every day or almost every day. Users now include 10.4 million households and 7.7 million email accounts. The USPS reports that 96% of users would recommend Informed Delivery to friends or colleagues. Informed Delivery is now available in almost all U.S. zip codes. The daily emails include images of letters and postcards, as well as some flats. In cases where mailers elect to conduct a digital campaign, they can substitute a custom image for a flat image that does not get scanned. The genesis of the program goes back to the early 2000s. After a series of anthrax attacks were made through the mail after 9-11, the USPS began scanning all mail as a security precaution. Scanning gives the USPS and direct marketers a way to integrate their mailings with the digital world in way that was not possible previously. You can visit here to register for your Informed Delivery email digest. How Can You Evaluate Commercial Printers? 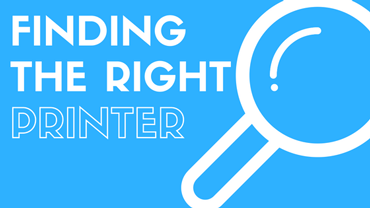 So, you’re looking for commercial printers? Has it been a while since you printed something because you’ve been focused on your social media or search marketing? Are you looking because the relationship with your current printer is a little shaky? No matter the reason, finding the right commercial printers can be a time-consuming task. First, you have to locate ones in your area. Then, you have to research those that look promising. Finally, you have to reach out to a few to get estimates to see if their pricing seems right. When you finally decide to work with one, you hope the relationship goes well so you don’t have to search again anytime soon. If you evaluate commercial printers on five key attributes—capabilities, reputation, interest, “the basics” and respect—you’ll be sure to find the right one. Early in your search, you have a simple question to answer: do the commercial printers you’re finding have the capabilities you need? If you need a sign printed, do they offer large-format printing? If your brochure needs to mail, do they have in-house mailing services? A printer’s website should provide the information you need to understand their capabilities. If you’re still unsure about what they can do after looking online, call and ask. They’ll be happy to discuss your project and how they can help. The next question in your search is a harder one to answer: what kind of company are they? Do they have a good reputation? Are they honest? Do they provide a good customer experience? Although these are tough to answer, getting firsthand information about the printers you’re considering could be the most important thing you do. Do they have long-standing customers? Do they have well-known or prominent customers? Do they share testimonials or customer feedback? Do they have reviews available online? You can also try to uncover their reputation by using your professional network. Have any of your contacts heard of the company? Do they know someone who has? Is the printer engaged in any of the professional associations, groups or events you’re familiar with? As you narrow your search to a few options, you’ll need to contact them to discuss your project. These discussions provide a perfect opportunity to determine if a commercial printer will be an innovative partner for you. Do they ask questions to better understand your project, or do they just take the “order”? Do they try to learn more about your company? If your project is complex, do they offer suggestions to improve the cost, turnaround time or quality? They should be curious about you, your project and your goals. The more a printer understands, the better their estimate and proposed solution can be. Having a thorough understanding helps a printer deliver on another key measurement in your evaluation: fair price. As you discuss your project with a commercial printer, you’ll have the chance to learn how they score on the basics—speed, quality and price. When it comes to timing, what kind of turnaround are they estimating? Do their timelines seem reasonable? If you were able to get feedback from colleagues familiar with them, can you confirm that they meet their deadlines? The primary way to evaluate quality is reviewing samples. How do their samples look? How were the samples sent to you? Do they seem to be recent projects, or do you get a sense they’re from ages ago? If you have the time, another way to evaluate quality is to visit a commercial printer’s facility. Is the place clean and organized? Do the presses and equipment look well maintained? If a printer puts in the time to take care of their facility, you can be sure they’ll put in the time to take care of your project. As far as price, it’s common to want to do things as inexpensively as possible. But as the old saw goes, sometimes you get what you pay for—so beware the low bidder. You should get price quotes from a few printers and compare prices. Look for anomalies, like prices that are a lot less or a lot more than the others. Ignore those and focus on the middle. One side note—if you really like a printer but their estimate comes in low or too high, reach out to them to make sure they had the specs correct. Even the best printers can misinterpret specs sometimes. If you feel a printer is providing you a fair price and fair value, they should remain an option in your search. By this point you should feel comfortable with the capabilities, reputation, service and cost of the remaining printer (or printers). The final factor in making your choice is respect. Has the printer treated you with respect? Have they been courteous and attentive? Have you felt good dealing with them? Put simply, have they made you feel like they want your business? If it feels like they do, you’ve found your partner. 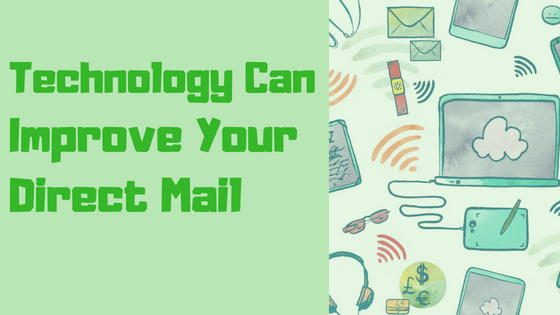 If you’re using direct mail, technology can help improve response. At this point in time, most marketers accept that direct mail generates response. A recent Data & Marketing Association Response Rate Report indicates that the response rate for direct mail is 3.7%. The response rate for all digital channels combined is less than 0.75%. Marketers believe in direct mail so much, spending on it is growing again. In 2016, brands spent $46 billion on direct mail, according to the Winterberry Group. 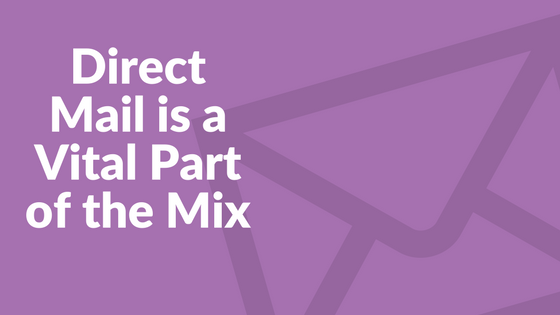 If you’re using direct mail as one of your primary marketing channels (as you should be), there are a few ways to make sure you get a response rate that meets or exceeds the average. Not surprisingly, they all have to do with technology. According to the Interactive Advertising Bureau (IAB), IP targeting is digital messaging that is delivered to a user’s geographic location as determined by his or her Internet Protocol (IP) address. This technology lets marketers serve digital ads directly to specific IP addresses that are mapped from the physical addresses on their mail list. When combined with direct mail, IP targeting technology lets marketers direct one-to-one messages to prospects both in print and online. IP targeting is better than traditional geo-targeting technology because it directs advertising to specific households and businesses. If you have a defined audience with a specific interest in your product or service, IP targeting is a cost-effective option because there is less waste than traditional digital approaches. Combining IP targeting with direct mail is an ideal technique for universities, financial institutions, banks, realtors and professional service firms. Print is a visual, tactile medium. The more senses you can engage with it the better the reader will remember your message. The physicality of print is something digital marketing cannot match. Innovative technologies are helping marketers make better physical connections by adding special effects to mail pieces. They are digital technologies, so they can provide the effects at a much lower cost than in the past, when most special effects required the use of a die. Nowadays, digital foils, special laminates and white inks can be applied to printed pieces to increase the likelihood that they will stand out against competing messages. 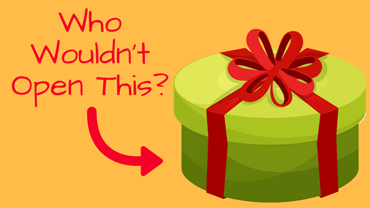 One of the challenges with direct mail is knowing if (and when) it has been delivered. Well, you no longer need to guess about it. The USPS has provided advanced technology that lets you track individual pieces through the mail, so you can know exactly when they are going to be delivered. You can get information on both the projected delivery date and the actual delivery date. By knowing when mail gets delivered, you can adjust drop dates as needed to ensure your pieces arrive at the right time, which is key for follow up and planning. You can also use your insight into delivery times to consider using standard vs. first class postage, which can potentially save you money. Additionally, knowing projected delivery dates lets you anticipate customer response. With advanced notice, you can prepare for it and make sure your team is ready and available to handle it. Instead of relying on volume like the old days, you can target just the prospects who are most likely to make a purchase. And, you can appeal to them as individuals. Direct mail is a particularly good channel for personalization because it offers a variety of formats and the ability to connect with the recipient physically. You should be using your customer data to personalize the content and images in your direct mail, so you ensure a positive response. 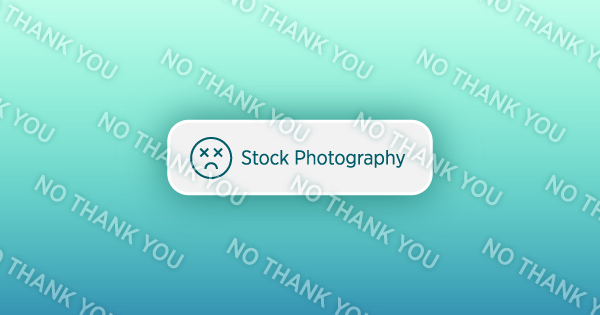 For some designers, using stock imagery sourced from online marketplaces like Adobe Stock is like taking cough medicine—you know you need to use it, but it doesn’t mean you have to like it. Since the early 2000s, when stock photography became widely accessible through the launch of online image marketplaces, professional designers have debated whether they should use it. On one side are designers who say stock photography offers nothing but cheesy, inauthentic images that can never properly represent their product or company. They prefer custom photos featuring real employees, real customers and real products. They’ll even take their own photos around the office to get them. On the other side are designers who think that wisely selecting stock imagery from an online marketplace is an easy and affordable way to meet most of their image needs. With the availability of vector graphics, stock marketplaces also provide a fast way to get illustrations and icons. This can be incredibly helpful in design environments with limited budgets and tight timelines. Stock marketplaces also offer stock video and audio, and they’ve improved their libraries with “signature” collections that have photos with higher production value and better content. Considering the online stock image market is a $3 billion business, our guess is many designers come down on the “easy and affordable” side of the debate. 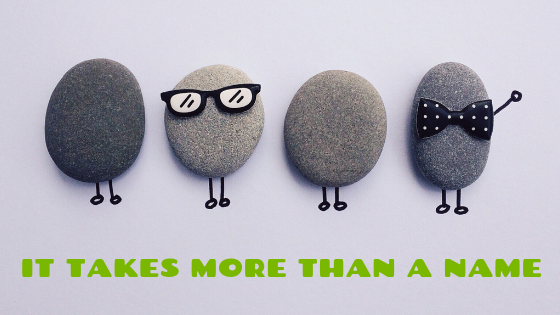 Whether they do it with a smile or a frown, we’re not sure. It is just an unfortunate fact that many designers work in organizations that can’t afford custom photo shoots. So, if you need to find stock imagery, which marketplace should you use? Shutterstock, Getty Images, iStock and Adobe Stock are some of the most recognized names in the stock image market. They all have advantages and drawbacks. Adobe Stock, however, the most recent paid platform to launch, is an option worth seriously considering. The value of Stock’s integration with Adobe creative tools that designers use constantly outweighs its smaller image library and its lack of audio. According to a study commissioned by Adobe, Stock’s integrated workflow reduces the time involved in licensing an image from 3 minutes to 16 seconds. Since 85% of creatives who buy stock imagery use Adobe software to manipulate and place it, if you haven’t tried Stock yet, you should. Users can search Stock from within Adobe CC software like Photoshop, Illustrator, and InDesign and save images to their CC Library. One of Stock’s neatest features is a preview mode that lets users add effects and tweaks to a low-res version of an image. The preview version is replaced with a high-res version and all effects are reapplied automatically when the image is purchased. In June 2016, Adobe launched an upgrade to the Stock platform as part of its CC update, deepening its integration with CC tools. Stock now has a workflow that lets you select and place an image in your work with one click. The update also introduced the industry’s only one-click purchase capability. In addition, Adobe added a Premium collection to Stock, a set of 100,000 hand-selected images sourced from some of the world’s leading photographers. They provide exceptional content, style and production quality. If the rationale for relying on stock imagery is its ease of use and affordability, then the same rationale can apply when selecting a marketplace. Other platforms have been around longer and may offer wider selections, but Adobe Stock is the easiest to use and one of the most affordable options out there.